The Salmon River is one of the longest undammed rivers in the Western United States, flowing 425-miles across the state of Idaho, through the Frank Church Wilderness. 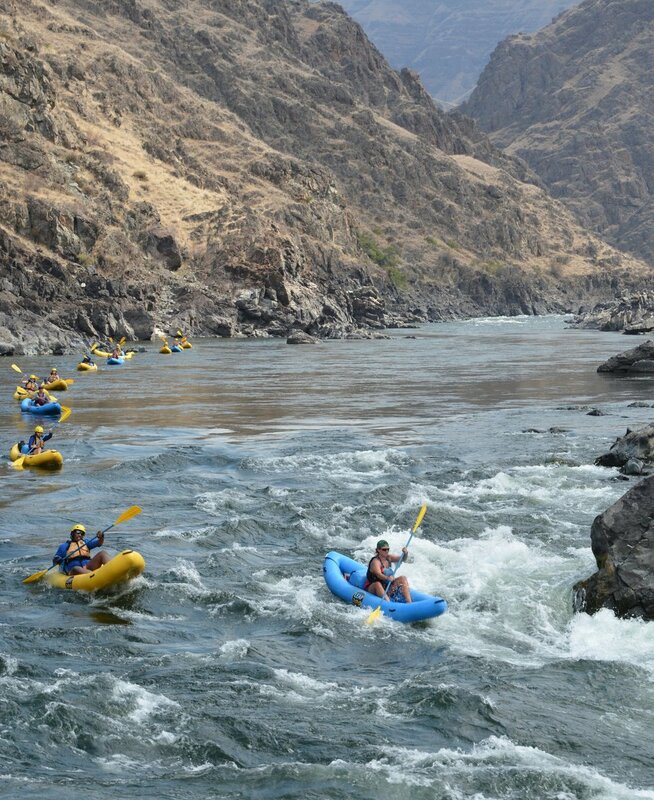 Our trip enjoys the final 53-miles of this river, called the Lower Salmon River, where we enjoy white sandy beaches, deep canyon walls, and fun big wave rapids. The Salmon River is many river guides’ favorite place on earth and we are excited to share our love for this river with you. We offer two types of boating experiences for our programs: single-person inflatable kayaks and a paddle raft. In our custom-designed inflatable kayaks, each person paddles themselves down the river in individual boats with thorough instruction from our guiding and leadership staff. This “paddle yourself” experience puts you in the driver's seat and in control with the support of the guides and staff alongside you. We endure the challenges presented by the river head-on while facing fears, building confidence, and learning a new skill; furthermore, we explore the connections between the things accomplished on the water in the kayak and our daily lives beyond the river in our evening meetings and conversations. We are certainly aware this type of challenge isn’t fitting for everyone, or can be intense at times for individuals who are navigating this new experience. In light of that, we offer a paddle raft option for those who operate best sharing the challenges of the river as a team or simply need a break from the kayaking experience. In this craft a group of up to eight participants paddle with a LEAP guide in the back of the boat, leading the group and steering through rapids. The paddle raft will be an option throughout the program should any participant feel uncomfortable or wish to switch out of their inflatable kayak. We believe that the river is a metaphor for life, and the unique whitewater rafting experience we provide parallels the lives we lead. There are moments of turmoil and moments of stillness, of extraordinary challenge and adversity all-along the river, as with life. 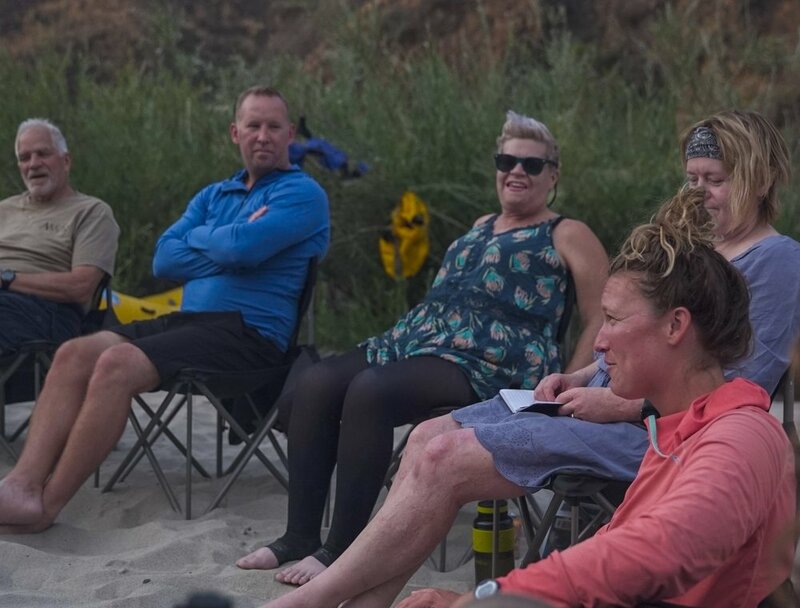 While successfully navigating the river, we reflect on our experiences and find ways to channel those learnings, gains in confidence, and skills learned into our lives upon returning from the program. Paddling rivers offers a transformational experience and we have designed a standard curriculum, adapted to each partner organization, to maximize the effectiveness of this truly spectacular river setting. We work with our partners uniquely to create the perfect balance of curriculum to explore appropriate themes, skills, and reflections to generate the greatest impact for each individual and group. Participants learn to safely navigate class III and IV rapids and manage risk in whitewater. Our curriculum is designed to support individual success and group development through overcoming challenges together in a natural setting. We focus on reflection and group collaboration to encourage learning from daily experiences and decisions on the river. We believe in the therapeutic nature of the wilderness. Participants have the opportunity to be unplugged from media and their everyday lives, and to experience well-supported, healthy risk and optimal stress to encourage new pathways and skills for stress management. LEAP leaders focus on facilitating with questions, coaching conversations, deep listening, meaningful connections, and experiential learning. LEAP leaders are not therapists or mental health providers, and all offerings are within their appropriate scope and expertise. We recognize, understand, and encourage the celebration of human differences. Each participant is encouraged to own their sense of self, persevere, and challenge limitations they have given themselves or that the world has imposed on them. We foster a safe environment in which people can connect, find support, and share joy. Our participants often have little or no wilderness experience, and by increasing access and providing opportunities for wilderness experiences through our program, we aim to cultivate a sense of enjoyment, responsibility, and appreciation for our natural world. 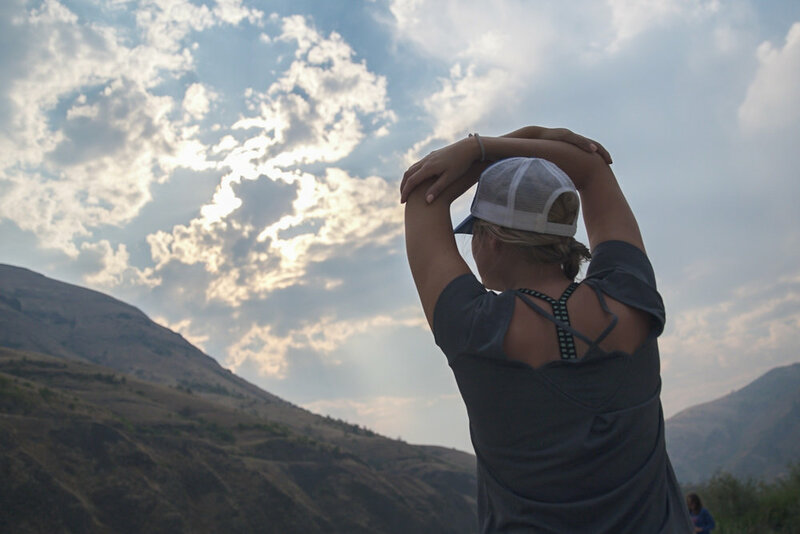 Our program takes place on the wild and scenic Salmon River in Idaho, one of the longest free-flowing rivers in the lower 48 states. We operate under the Leave No Trace principles.